Do you suffer from anxiety, fear or have a dental phobia? Do you have a nervous feeling that may include shortness of breath, rapid heart rate and butterflies in the stomach? Did you have a bad experience in the past and it not affects how you act in a dental office? Are you one of the 8% of Americans who totally avoid the deentist because of fear? Did you know that there are people who are so fearful that they only go to the dental office when they are having an absollute emergency? Did you know that women are twice as likely to have dental anxiety that men? Dental IV sedation is the answer to your problems. Ot makes you feel calm and relaxed instead of being nervous. It also allows the dentist to perform more treatment in a single visit and you will have little to no memory of the proceedure. IV sedation will induce a state of deep relaxation so yur fears will melt away. You will be conscious and able to respond to questions but most likely will not remember doing it. It is extremely safe and you are monitors by the dental staff. The next time you need dental work done, consider sedation dentistry. It is the way to make your dental visit as easy as possible. Graphic from Pintrest and YourSanfordDentist. Delta Dental provides a simple graphic to help remind you how to floss. I now think of flossing like wearing a seat belf in the car. If I don't floss everyday then things just don't feel right. Think of how beneficial flossing can be. If you finish dinner at 7:00 PM and go and floss your teeth, how long will it be before you eat anything for breakfast. Your gums have that entire time to be healthy and heal if needed. 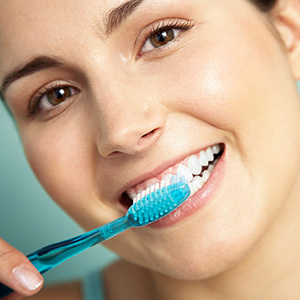 If you leave debris between your teeth it sits and irritates your gums. It is not a good situation at all. So do yourself the big favor you know you need to do. Floss daily for a better and healthier mouth. You are on your way to a better and healthier smile!